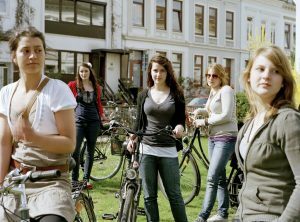 Whatever happened to Bremen’s online presence in the global cycling advocacy community? There’s a better than good chance that anyone reading this post will be well aware of the great blogs that emanate from the world’s most famous cycling cities. From the various -ize websites, Amsterdamize, Copenhagenize, Portlandize, to the Cycle Chic republic of blogs, to more unique sites like A View from the Cycle Path and BikePortland, local cycling advocates routinely share their experiences in a cycling city with the outside world. They sit alongside an even more impressive range of blogs from activists in towns and cities around the world – London, New York, Munich, Newcastle, that are striving to achieve cycling-friendly status. The dialogue between us all has created a strong sense that we are not only looking at developments at home, but looking outward, with, in the case of cycling cities, a sense of pioneering, or in the case of striving cities the desire to learn and progress. Strange then, that here in Bremen, a city that boasts a cycling modal share of 26%, there is no such discernable web presence. Having scoured the web for any sign that Bremen has a pioneering cycling culture that is in tune with the best cycling initiatives being developed around the world, I could not find one. Instead, there are three web presences that might be said to represent cycling in Bremen. First, there is the official website of ADFC Bremen, the rather large city branch of the national cycling organisation of Germany. As the mouthpiece for an official organisation, its job is to publicise their agreed aims, campaigns, and successes. Whilst the ADFC’s campaigning work should be commended, its connections with deeper debates about cycling policy in the outside world is therefore limited. Second, there is the official website of the municipality itself. Here you need to dig deep to get to the various cycling pages, but of course they are all about current or past transport policy. Right now the municipality is working on developing a new Transport Development Plan (in German Verkehrsentwicklungsplan or VEP for short). Nothing here suggests that Bremen is aware of its global standing alongside other cities like Amsterdam and Copenhagen as a cycling city that needs to be pioneering the most effective strategies to further cycling as a key means of transport. Third, there is one cycling website that does indeed have some connection with the wider world, but in the most peculiar way. Bremen Critical Mass organises monthly cycle rides, just like Critical Mass rides around the world, on the last Friday of each month. Unlike the vast majority of these, however, BCM is not campaigning for better cycling infrastructure. Rather, in a city that already boasts over seven hundred kilometres of separated cycle paths, they are riding for the right to cycle on the road, mixing with other traffic. This reflects recent legal battles about cyclists’ rights in Germany. Until the late 1990’s, wherever a cycle path existed, cyclists were legally expected to use it, no matter how poor its quality. Not surprisingly, the more sprightly cyclists felt that they would be better off using the road. So ADFC launched an ultimately successful campaign to repeal this obligation. BCM is in many ways an expression of that campaign. None of these three sites has any connection with the world wide web’s community of progressive cycling policy. And living here as a cycling activist, this makes the place feel even more parochial than dear old Darlington. To find a base from which to develop genuinely pioneering cycling policies, we are instead engaged as members of two groups. The Bremen Green Party is currently in power in the city in a coalition with the Social Democrats, and has a healthy internal debating mechanism for policy development. Over the past few months, it has been developing an update of their Master Plan for Cycling, and as ordinary members we have fed our thoughts and ideas into the process. The result is pretty positive, with a short-term aim of 30% modal share, and 50% in the longer term. Interestingly, it has just got a mention in the nearest -ize website to Bremen, hamburgize.com. Secondly, we are working with Friends of the Earth (BUND) Bremen in a similar way, to develop a cycling policy that furthers the deeper aims of environmental protection and combating climate change. Bremen needs to realise its potential as a pioneering cycling city. The lack of this public sense of a presence on the global bicycle culture stage – Bremen is regularly involved in official initiatives such as the EU funded PRESTO project – might be more a symptom of the city’s lack of collective self-confidence about its self-image, rather than a cause, but either way we sense economic as well as intellectual deficits. There is little on the Bremen tourism website to attract cycling visitors, and new ideas to increase cycling are all coming from elsewhere, yet with no discernible impact on the local debate. The fact is, Bremen’s lack of self-confidence (yes, we are the poorest State in western Germany) has caused it to grossly under-estimate its own achievements to date, and its potential standing on the world stage. This is not simply a cycling deficit – our 700-odd kilometres of cycle path is twice the Copenhagen total – but in many other areas as well. Bremen has an abundance of protected green areas, it has a thriving local cultural scene, a loveable football team with a stadium that is surrounded by solar panels, and its public transport system is comprehensive, comfortable, and headed by an inspiring team that, for example, allow the homeless to ride the trams for free during a cold snap. 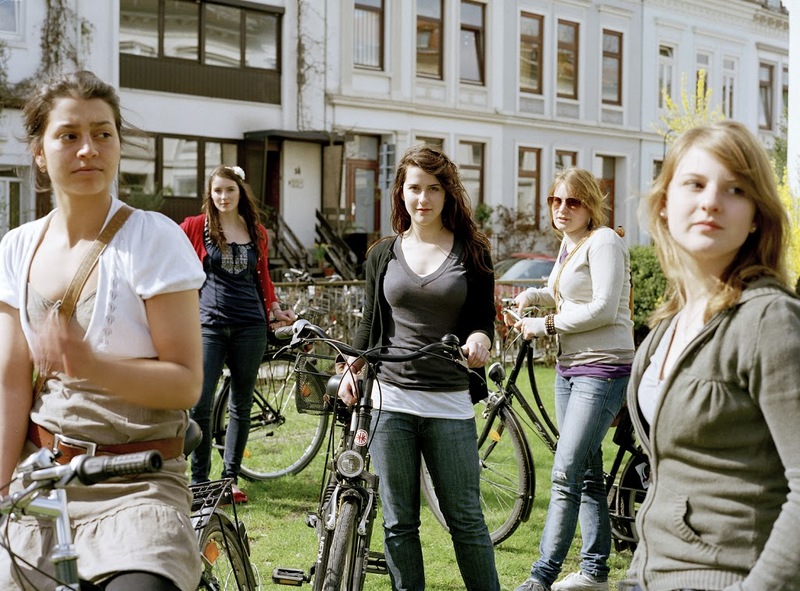 Bremen’s past cycling achievements – most kids cycle to school, Bremen car drivers are much more cyclist-aware, and the considerable existing infrastructure – makes it a city that is culturally prepared for another great leap forward. There is much to do to make Bremen’s cycling infrastructure fit for a 50% modal share. That is exactly what the city should now focus on. Beauty lovers are very interested of cosmetics.They are very known to all types of cosmetics.They are same to same as beauty experts.